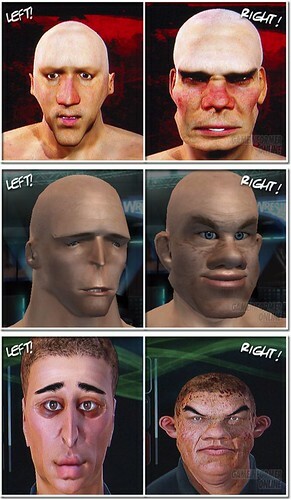 i think that if you design ugly individuals than you should make them look very natural and real life looking. I think that if every newbie in the online world will be ugly-faced – ugliness could become a feature in that community, not a drawback. Turning the game into trash-horror style 🙂 Then â€œSurgeredâ€ paid-accounts would be bad-attituded and vulgar.